PHOENIX — Back when he played for Chaparral High School in Scottsdale, Danny Coulombe dominated on the diamond. A talented left-hander with a devastating curveball, Coulombe averaged more than two strikeouts per inning during his junior and senior seasons. But as his baseball career continued to unfold, setbacks abounded. The southpaw — who is now a pitcher in the Oakland Athletics organization with 152 career pitching appearances in Major League Baseball — is one of many success stories in the sport who was able to overcome major surgery to pitch competitively at the highest level of competition. But the sheer amount of surgeries in recent years and overuse concerns in young baseball players suggest a systemic problem within the sport’s competitive ranks. From MLB all the way down to youth baseball, injuries — especially those sustained by pitchers — are becoming more commonplace. In 2017, an astounding 86.7 percent of regular season MLB games played featured at least one pitcher who had previously undergone Tommy John surgery, according to a Hardball Times piece by Jon Roegele, a member of the Society for American Baseball Research. And kids aged 15 to 19 accounted for 57 percent of Tommy John surgeries performed in the United States between 2007 and 2011, according to the American Orthopaedic Society for Sports Medicine. The advent of year-round baseball and the pressure put on young players to reach the highest level are leading to more injuries than in years past. According to Coulombe’s former pitching coach Steve Ontiveros, mechanical changes to Coulombe’s throwing motion made during his time at the University of Southern California caused arm pain that made the young pitcher a shell of his former self. With his scholarship in jeopardy, he was forced to leave USC and move back home. “I literally, like, forgot how to throw,” Coulombe said. Ontiveros, the head instructor at Players Choice Academy in Scottsdale and a 10-year Major League Baseball veteran who taught Coulombe his curveball in high school, helped his former pupil get his mechanics back. Coulombe’s velocity improved, his curveball returned, and he opted to accept a scholarship offer at Texas Tech to continue a life tied to baseball. Coulombe tore a ligament in his elbow, ending his season at Texas Tech and requiring Tommy John surgery — a surgery that Ontiveros also underwent during his MLB playing days. “I gave everything I had into that rehab,” Coulombe said. Dr. Frank Jobe first performed the surgery in 1974 on MLB pitcher Tommy John. Subsequently, John became the first huge success story. He compiled 124 wins and one All-Star selection in 12 seasons before surgery. Afterward, he was able to pitch 14 additional seasons, made the All-Star game three more times and finished second in Cy Young voting twice. But not everyone has the same level of success after undergoing a Tommy John, which involves a torn ulnar collateral ligament in the elbow replaced with a tendon from another part of a patient’s body or from a cadaver. Dr. Anikar Chhabra, the head orthopedic surgeon for Arizona State University who works at Mayo Clinic, said that while Tommy John surgeries have shown to be successful, there’s still that 20-40 percent chunk of patients who don’t return to form. Since the turn of the century, Tommy John surgeries have become more commonplace, but they remain almost exclusively an injury suffered by pitchers. Roegele compiled a comprehensive list of players who’ve undergone the surgery from college and the minor leagues all the way up to MLB. He said 90 percent of players who’ve had it are pitchers. The number of players going under the knife for Tommy John surgery is increasing. 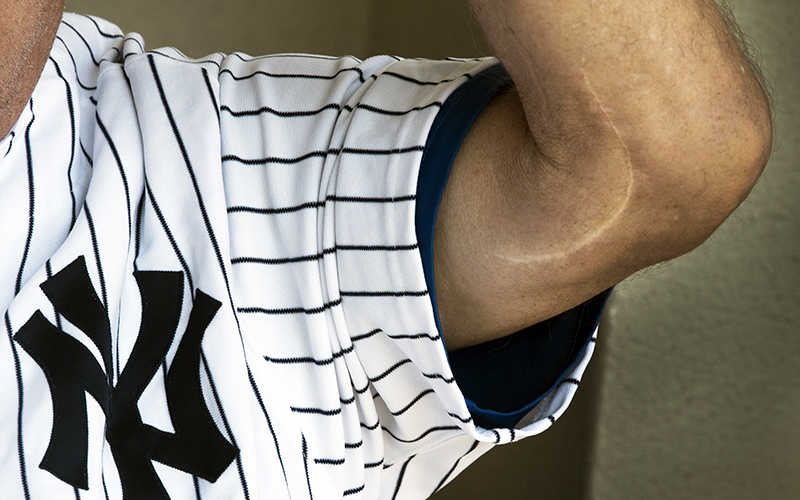 A total of 36 MLB players underwent a Tommy John in 2012, and 31 had the surgery in 2014. Those are the two highest single-year totals on record, according to Roegele’s research. There were a total of 28 Tommy John surgeries at the major-league level from 1995 through 1998. It’s important to note that tracking such surgeries has become easier over time, but those aforementioned numbers exclude the total number of Tommy Johns extending to college and the minor leagues. Surgeries at all levels eclipsed 100 each year from 2012 through 2017. It had never reached 100 in a single season for the previous 38 years. Not surprisingly, younger pitchers who undergo the surgery have an easier time returning to prominence when compared to older pitchers. “The reason it’s considered a success is because it gives people a chance. Without it, people don’t have a chance to throw again,” Chhabra said. 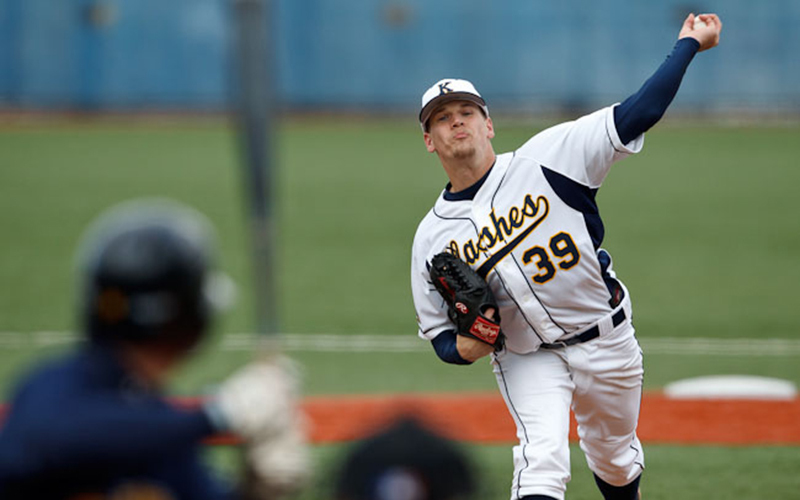 When Arizona Diamondbacks relief pitcher Andrew Chafin was in college at Kent State University, he suffered the injury a growing number of baseball and MLB pitchers have experienced since the turn of the century. Instead of sharp pain, Chafin only felt a numbness in his fingers and had his talent sapped. “I went from having everything in the tank to being bone dry,” Chafin said. Chafin recalled hitting 94 mph with his fastball that day, which he said was the hardest he’d ever thrown to that point in his baseball career. But when his slider’s velocity dropped nearly 20 mph from one pitch to the next, his coaching staff intervened immediately. “They came out, ‘What’s going on?’” Chafin recalled of how the conversation on the mound started. “I can’t feel half my hand, but I’ll get these guys out,” Chafin said. Chafin said that at first everyone thought he had a pinched nerve that caused the tingling sensation in his hand. He rehabbed for a week but knew there was something seriously wrong with his arm when he tried to throw. Chafin said he underwent his Tommy John a month to the day he initially got hurt and didn’t throw in a real game until 17 months post-op. Looking back now, Chafin says the timing couldn’t have been better for him. “Weird to say, but it kind of worked out at the perfect time,” he said. Because Chafin was still a freshman in college, he was able to take his time with the rehab process. 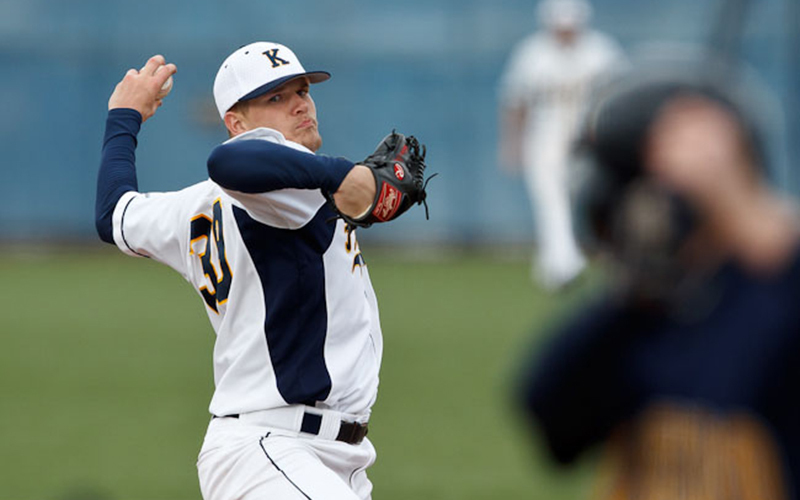 He missed and redshirted the 2010 season before making his return to the rubber for Kent State in February 2011. He did appear in an interesting exhibition game in September 2010 prior to making it back for another college season. Chafin recalled an absolutely dominant performance. Chafin is now in the midst of his fifth season at the big-league level. Through his first 51 appearances during the 2018 season (36 and two-thirds innings), he recorded a stellar 1.47 ERA without allowing a home run. The Diamondbacks have four established pitchers on the roster who’ve undergone Tommy John surgery. Unlike Chafin, however, Patrick Corbin, Shelby Miller and Taijuan Walker all had the surgery after they’d already made it to the majors. Corbin, who made an All-Star team before his Tommy John, made a second trip to the All-Star game in 2018 — his fourth season since returning from rehab. Like Chafin, he’s pitching arguably the best season of his career this year, but his teammates are still on the road back. Walker underwent his Tommy John in late April and will miss the entire 2018 season. Miller made his return to the mound on June 25, 2018 — 13 months after his surgery. He made four starts (15 innings pitched), surrendering 21 runs (19 earned) along with five homers for an ugly 11.40 ERA. He was shut down once again after experiencing tightness and soreness in his arm, and ultimately got moved once again to the 60-day disabled list after the trade deadline acquisition of relief pitcher Brad Ziegler. Manager Torey Lovullo didn’t rule out a return for Miller in mid-September, but noted that the team wants to play it safe with him as he continues his recovery. Asked what the most difficult part of being sidelined is, Miller said simply being away from the sport he loves was most difficult. That recovery from major surgery is a grueling process. Miller said the first couple months are extremely frustrating because you’re required to stay almost totally inactive. What many fans may not realize about the long recovery process, though, is just how draining it can be mentally as well as physically. Miller said he leaned on teammates like Corbin as well as the medical staff to keep him positive as he recovered. Chafin said he also checked in on Miller throughout his rehab. Now, Miller will need to focus solely on recovery once again. Sports psychology is an extremely important part of the rehab process but still not something that’s much talked about or accepted, said Dr. Steven Erickson, who specializes in orthopedic sports medicine at Banner University Medical Center. Many setbacks athletes encounter are “perceived setbacks in the athlete’s eyes” because “their expectation is not being met,” he said. Erickson added that one of the most underappreciated aspects of injury rehabilitation is having the right mindset and a hope that triggers more energy and enthusiasm. “Dealing with the psychology is more of the art of medicine than the science now,” Erickson said. At the highest level of competition, the access to great medical care and the most advanced equipment available gives MLB players a great chance at returning to prominence. “We live in a time where the rehab process and the surgical approach, if you’re with the right people, is almost old hat,” Erickson said. The Diamondbacks medical staff was not made available for this story. Long before they attain their dream of pitching in the major leagues, young baseball players are increasingly competing almost year-round with club and travel teams in addition to playing for their schools. Chafin clarified he doesn’t think the sheer volume of baseball he was playing in his youth was the sole factor responsible for his elbow blowing out. He also experienced what he estimated was a two-inch, 40-pound growth spurt when he got to college and started weight training on a more regimented schedule. He thinks getting so much stronger in a short period of time put added stress on his elbow ligament. Still, there’s growing concern that year-round baseball in young athletes could be bringing about more injuries — especially among pitchers. Dawson, who coached Coulombe at Chaparral, said that injuries he sees in young baseball players today are much more common due to a variety of factors, including club baseball giving kids the chance to play baseball nearly year-round. Dawson said that the recommendation he’s abided by for pitchers is to shut them down for six-to-eight weeks twice per year, but he added that many players at younger levels of competition aren’t doing that. “Everybody’s in such a hurry to get their pro contract or their scholarship to college … common sense gets lost in the shuffle some place,” Dawson said of overuse in young pitchers. Nick Steward, who took over as Chaparral’s head baseball coach in 2017, said he’s also seeing the overuse trends and prevalence of club baseball. He tells his players to take the summers off, but kids striving for opportunities beyond high school ball often gravitate toward club baseball and bullpen sessions with pro and college scouts to get added exposure. Daulton Perry, 26, who grew up in Mesa playing travel ball nearly year-round, said competing that often is imperative for young athletes if they hope to reach the highest levels of competition. Perry also said he “never worried about injuries” because it’s an inevitable factor in sports. He said he was careful about monitoring his pitch mechanics to avoid getting hurt, and that he suffered more injuries playing football in his youth. Both Dawson and Steward said the Arizona Interscholastic Association’s “pitch smart guidelines” for high school pitchers helps provide baselines by age for young pitchers, including pitch counts and required days of rest between starts. But with kids using the “offseason” to continue playing baseball as a means of chasing college and MLB dreams, monitoring a given kid’s workload can prove challenging. “It’s difficult … because you’re away from the kids so much and especially through the times when they’re supposed to be shut down that all you can do is recommend,” Steward said. Dawson said that when Yavapai is out scouting players, he’ll see the same faces appearing in a different program every weekend, a workload he doesn’t feel is sensible. Both coaches also expressed concerns with certain workouts like heavy ball routines — throwing with weighted baseballs in an attempt to improve velocity. While Steward said the advent of year-round baseball is not going away, he added that he doesn’t have a big problem with players competing in it. He feels, however, that playing games isn’t always as important when compared to individual development through weight training. The pressure young baseball players face, including those from parents and peers, plays a role. It’s a catch-22 because to reach the highest level, kids have to compete as often as possible to improve and get noticed, but that puts them at greater risk of arm injuries from overuse.